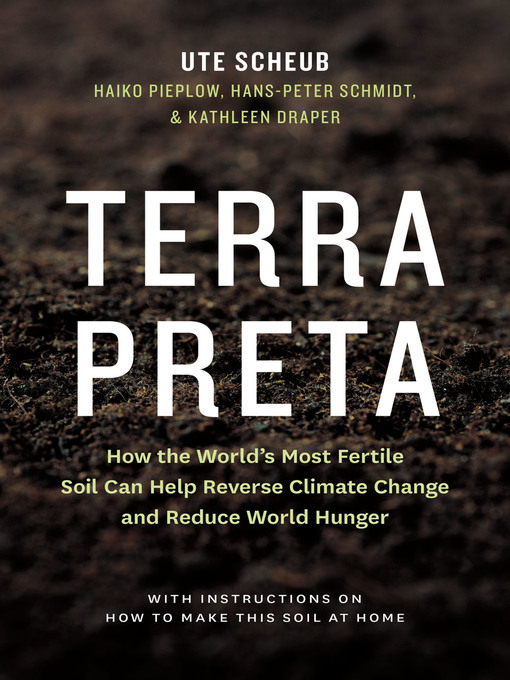 Terra preta is the Portuguese name of a type of soil which is thought to have almost miraculous properties. The newspapers are flooded with reports about black gold," scientists believe that two of the greatest problems facing the world – climate change and the hunger crisis — can be solved by it. The beauty of it is that everyone can do something about it because since 2005 the secret of producing this black soil has been revealed — and it is a secret that seemed to have been lost forever with the downfall of the once thriving Indian culture of the Amazon basin. The recipe is astonishingly simple as all you need are kitchen or garden wastes, charcoal and earthworms, so it can be produced on every balcony or on the smallest of garden plots. The trio of authors Scheub, Pieplow and Schmidt, set off on a treasure hunt and condensed all the knowledge about the world's most fertile soil into a convenient guidebook. In addition to a sound instruction manual on producing terra preta and organic charcoal (biochar), the handbook covers fundamental principles from climate farming to closed-loop economy. It makes a passionate plea against synthetic fertilizers and genetic technology and offers indispensable advice to all those who feel strongly about healthy food.